Alterna Caviar Anti-Aging MOISTURE Shampoo, Conditioner 33.8 oz *** YOU CHOOSE! 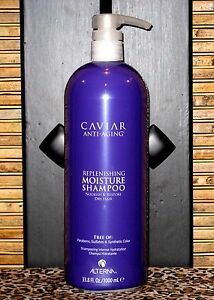 NEW Alterna Caviar Replenishing Moisture Shampoo 33.8 Liter NOURISHES DRY HAIR!! Pureology STRENGTH CURE Cleansing Conditioner 8.5oz -NEW & FRESH- Same Day Ship! Give your tired, brittle hair a lively boost with the Caviar Anti-Aging Moisture shampoo. As per the brand, this Alterna moisturizing shampoo is sulfate-free and hence safe to use. This Alterna anti-aging shampoo is designed to retain and regain the balance of moisture in your hair, making it look hydrated. The age control and photozyme complexes in the Caviar Anti-Aging Moisture shampoo lock in the color and reduce the aging signs. Give your dry hair a daily dose of rich nourishment with this Alterna moisturizing shampoo. Use this Alterna anti-aging shampoo and bring the youthful shine back to your hair. After one use, I could tell my hair was healthier. 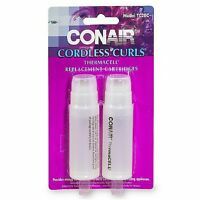 Its a bit pricey but a little goes a long way and my hair is just touching my shoulders. Doesn't have a strong smell, but its light and pretty. Highly recommend. Love this shampoo and conditioner set! I'm in my middle 50's and this makes my hair soft and manageable. It has a great, not-too-strong scent to it as well. I recommend to anyone! You won't be wrong, especially if you buy here on ebay where you can get the best deals!! Amazing duo!!! this is the ONLY product that works for me. My hair is silky, more manageable, shinier and overall more beautiful. For me it's a great investment. So good I take it to the UK! My daughter discovered thus shampoo and it seems to be the only one that makes her over treated hair feel good. I buy it here to take to the UK for her every year. i love this shampoo and conditioner. It smells good and your hairs feels so soft and care-free feeling!!! !